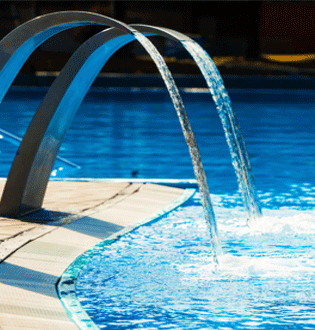 To keep water sparkling and pure plus reduce chemicals up to 90 percent, pool and spa owners turn to Ozone Joe's for their water purification system needs. As a manufacturer of VUV (Very Ultra Violet) Ozone Generators, Ozone Joe's strives to reduce the amounts of harsh chemicals used to sanitize pools and spas. Traditional sanitizers include chlorine, bromine, and others, but Ozone Joe's systems are designed to create ozone for use as the main cleaning agent. Benefits of ozone include improved water clarity and an overall healthier swimming environment (source: ozonejoes.com). Within their system, Ozone Joe's relies on our own Model #304/304 to restrict backflow of water from the main plumbing of the pool to the ozone system. 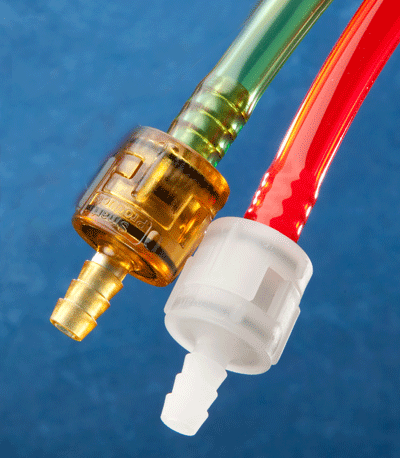 And, since the valve comes into contact with ozone, a highly corrosive substance to certain plastic or rubber materials, Ozone Joe's relies on the customizable components we offer to build the ideal valve for their unique application. "We chose Smart Products because of the flexibility of their products. Certain ozone systems, such as commercial, are large and require a more robust check valve - either more spring pressure or larger barb sizes. Smart Products offers a build-to-your specifications type of product, which is what we require with our own products," says Brian Suwarow of Ozone Joe's. Suwarow continues, "Because ozone is very corrosive to many materials such rubber, plastics and metals, we require special materials on the o-rings and springs of the check valve to ensure successful operation." To learn more about Ozone Joe's, visit their website at http://www.ozonejoes.com/. With their mix and match modular design coupled with customizable components, Series 300 Modular Check Valves are an ideal solution for a wide variety of low pressure, low flow applications. This series is available in six plastic body materials: Polypropylene, Nylon, PVDF, Ultem®, ABS, and Radel®. O-ring options include: Buna-N, EPDM, Viton®, Silicone, Fluorosilicone, Aflas, and Kalrez®. Opening pressures range from 0.11 to 20 PSI. This series comes in a variety of barbed and NPT sizes, as well as other end fitting configuration styles.